Shikoku Island is separated from Honshu Island by the Seto Inland Sea. 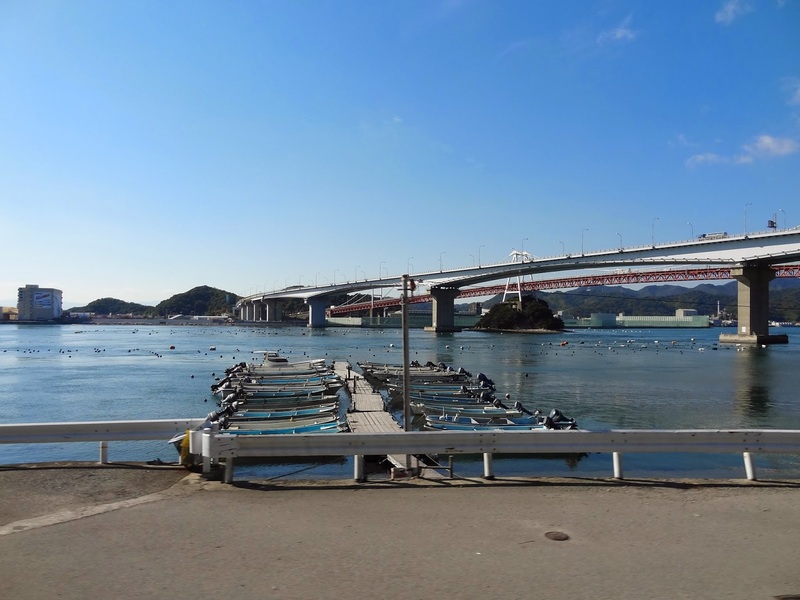 The three routes of the Honshu-Shikoku Bridge Project were built to connect Shikoku Island to the more developed Honshu Island and allow Shikoku to better participate in the social and economic life of the country. 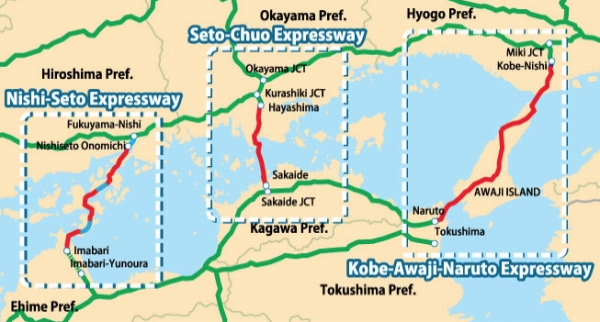 There are three long routes on the Honshu-Shikoku Bridge Project. 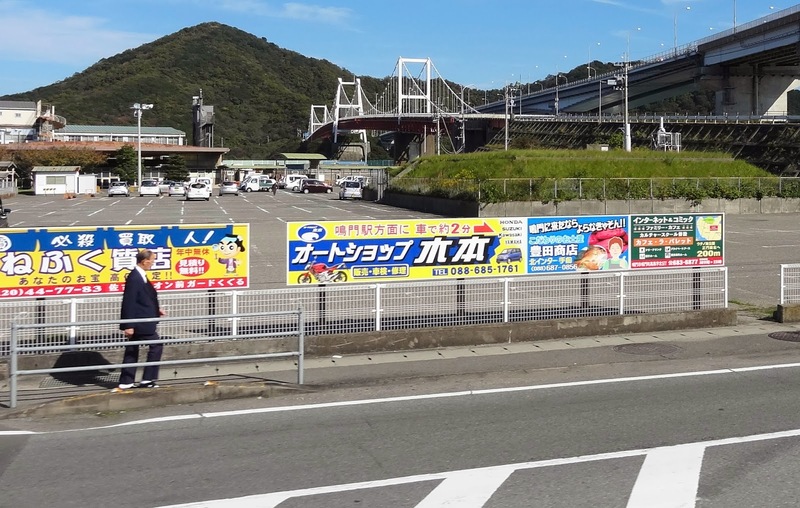 The westernmost route is the Nishi-Seto Expressway, which includes nine long span bridges and connects Imabari to Onomichi. We studied the construction of several of these bridges in my blog in July of 2009. The middle route is the Seto-Chuo Expressway which carries both highways and railways and includes six long span bridges. The eastern route is the Kobe-Awaji-Naruto Expressway, which is 89 km long and includes some of the longest and most difficult bridges to construct. Today's bridges are at the southern end of the Kobe-Awaji-Naruto Expressway on Shikoku Island. We'll take a closer look at these bridges tomorrow. Tokushima Prefecture, Japan Bridge; Bridges across Konaruto Channel (1) by Mark Yashinsky is licensed under a Creative Commons Attribution-NonCommercial-NoDerivs 3.0 Unported License.